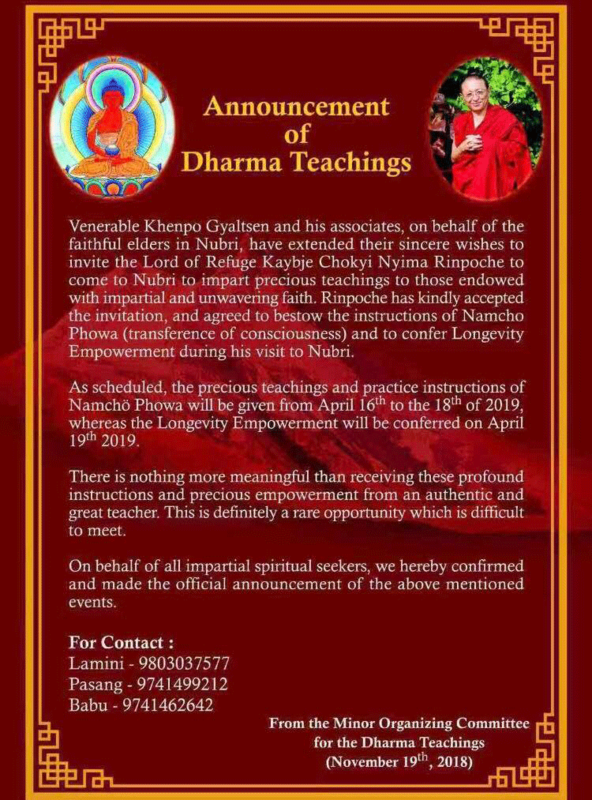 Phowa Teachings and Longevity Empowerment with Chokyi Nyima Rinpoche in Nubri, Nepal from April 16 – 19, 2019. The event takes place in Samagaun in Nubri area, Nepal. Transport is either by helicopter or by walking 4-5 days.